Ergonomic Safety grip reduces risk of Carpal Tunnel and Cumulative Trauma Disorders. warranted one (1) year from the date of purchase against defects in workmanship and materials. Fits better than a glove. Fits as tight as they advertise. 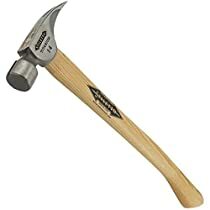 Makes the perfect hammer even better. It is somewhat prone to being gouged when your trying to squeeze yourself and your toolbelt through tight spots. I used this item on my Stilhetto Ti-bone hammer to cover over the factory grip that was worn and torn. There is no factory replacement for this $200.00 plus dollar hammer handle so I figured this was my best option. The covering went on easily and was done in about a minute from the time I opened the package(I even had time to check the directions. It feels nice with the old soft grip under it and there was no sticky residue like you would get from tape or rubber. Overall it seems to be a good product although I feel it is over priced. Time will tell if it holds up to heavy usage and if not I will add an additional comments. This is just a thick piece of rubber with a fancy plastic applicator. 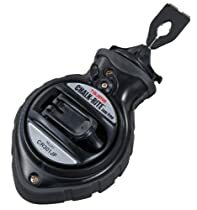 For all the "grip enhancement" and "impact protection" this product falsely promises, just save yourself some money and buy a bicycle innertube, cut a section of it as long as you need for you handle, and stretch it over your hammer's handle. That's all it looks like they did. This is a sloppily cut rubber tube. Made of about 1/16 inch thick rubber.